The mention of the arbitrability of the economic consequences of administrative acts is a major addition to the Colombian arbitration regime, where the issue of arbitrability of administrative acts had been widely debated in the jurisprudence and certain statutes, but was not mentioned in the arbitration law itself. Additionally, by means of Decree 1069 of 2015, the Colombian government established that in every contract, especially in adhesion contracts, the parties are able to include an arbitration agreement in the form of an 'option', which has to be expressly accepted when the contract is being executed. According to the Decree, the conclusion of the contract by the parties does not entail the parties' consent to the arbitral agreement and thus, they have to state whether or not they accept the arbitration agreement in order for it to be valid. when the dispute submitted to arbitration affects the interests of international trade. the Convention on the Settlement of Investment Disputes between States and Nationals of other States, approved by Law 267 of 1996. In the past few years, the Colombian Supreme Court has stated that the recognition and enforcement of arbitral awards cannot be denied based on national legal provisions that are less favourable than those provided in the New York Convention. Therefore, the recognition and enforcement of arbitral awards in Colombia is not to be decided based on the exequatur proceeding contained in the Colombian General Code of Procedure, as these provisions are generally less favourable than those found in the New York Convention. Furthermore, a 2013 ruling by the Colombian Supreme Court stated that the New York Convention is only to be applied as a residual set of provisions. In that particular case, an Ecuadorian company was seeking recognition and enforcement in Colombia of an arbitral award delivered by a tribunal seated in Guayaquil, Ecuador. The Supreme Court ruled that even though both Ecuador and Colombia were members of the New York Convention, since both states were also members of the Organization of American States, the applicable provisions were those contained in the Inter-American Convention on Extraterritorial Validity of Foreign Judgments and Arbitral Awards. with regard to interim measures, any measure issued by a domestic tribunal that is not specifically regulated by Colombian procedural laws requires the posting of security by the requesting party. In the case of international arbitrations, the practice of interim measures or preliminary orders only requires the posting of security when the tribunal considers it necessary. It is important to bear in mind that Law 1563 provides that the parties may agree that the arbitral tribunal cannot order interim relief. Finally, the recourses that may be filed against the award differ significantly if the tribunal that rendered the award was domestic or international. Annulment recourses filed against awards that have been issued by domestic tribunals are decided by the superior tribunal of the judicial district of the seat where the award was rendered. If the controversy involves a state entity or one that performs public functions, the competent authority is the Council of State. Revision recourses against awards rendered by domestic tribunals, or against judicial decisions that decide annulment recourses filed against domestic awards, are decided by the Civil Chamber of the Supreme Court or, in cases where the controversy involves a state entity, by the Council of State. Regarding international arbitration, on the other hand, Law 1563 determines that the competent authority to decide the annulment recourse is the Civil Chamber of the Supreme Court and, when a state entity is involved, it is the Council of State, as in domestic arbitrations. There is no revision recourse against awards that are rendered by international arbitration tribunals or against judicial decisions that decide the annulment recourse against them. In keeping with several arbitration regimes, Law 1563 also allows parties to an arbitration that is seated in Colombia to partially or completely waive the annulment recourse when all parties to the arbitration are domiciled outside Colombia. In these circumstances, the enforcement of the award in Colombia will require prior recognition of the award as if it was a foreign award. the award ruled on issues that are not subject to the arbitrators' decision, when the arbitrator's grant more than what was claimed or when they fail to decide on issues that are subject to the arbitration. Grounds (a), (b) and (c) may be invoked only if the appellant argued these defects when filing a motion to reconsider against the tribunal's decision during the arbitral proceeding. Ground (f) may not be invoked by the party that did not assert it before the tribunal prior to the expiration of the established term. Grounds for annulment of an award rendered by an international tribunal seated in Colombia are essentially those contemplated in Article 34(2) of the UNCITRAL Model Law. The Colombian court system is divided into three jurisdictions that have further sub-divisions: the ordinary jurisdiction, which is divided into civil, criminal and labour jurisdictions; the contentious-administrative jurisdiction, which adjudicates over matters related to the conduct of the entities that comprise the executive branch of the government and other analogous issues; and the constitutional jurisdiction. The civil branch of the ordinary jurisdiction is divided into municipal civil courts, which act as trial courts for disputes not exceeding certain amounts, and circuit civil courts, which act as trial courts for disputes involving greater amounts and as appellate courts for municipal civil courts. Superior tribunals act as appellate courts for circuit civil courts, while the Civil Chamber of the Colombian Supreme Court resolves cassation and revision recourses against rulings handed down by superior tribunals. The contentious-administrative jurisdiction is divided into administrative courts, which are trial courts; administrative tribunals, which act as trial courts for some matters and as appellate courts for administrative courts; and the Council of State, which is the highest court in the country for administrative matters. The constitutional jurisdiction is composed of the Constitutional Court, which decides on the constitutionality of laws and certain decrees and rules on constitutional actions for the protection of fundamental rights (acciones de tutela); and the Council of State, which decides on the constitutionality of certain decrees. All Colombian courts act as part of the constitutional jurisdiction when they decide constitutional actions for the protection of fundamental rights. Finally, it is important to note that arbitration tribunals in Colombia are subject to a constitutional action called acción de tutela.7 This is a public action of constitutional status that requests the protection of a fundamental right. In arbitration cases, it is often invoked on the grounds of an alleged violation of due process in order to request the court to give an order to the arbitral tribunal to make procedural amendments. Additionally, the Constitutional Court has held that the constitutional action could be viable in certain cases against awards issued by arbitration panels, or against judicial decisions that decide upon the annulment recourse against arbitral awards, as explained below. On a few occasions, awards have been annulled by the Constitutional Court, but this is of rare occurrence. the plaintiff reasonably identifies the events that caused the infringement of the constitutional rights, which, if possible, should have been invoked during the proceeding. direct violation of the provisions of the Constitution. Therefore, the plaintiff must prove each and every one of the procedural requirements above, as well as at least one of the special grounds that may be invoked for an award to be annulled. The great majority of acciones de tutela that are attempted against arbitration tribunals or the awards they render are unsuccessful. Finally, with regard to arbitration centres, the main centre of arbitration in Colombia (by volume of cases handled annually and the amounts in dispute) is the Centre of Arbitration and Conciliation of the Chamber of Commerce of Bogotá. 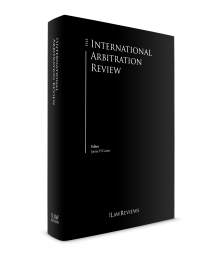 In 2017 it handled 376 cases, including both domestic and international arbitration, and rendered 110 awards. Another important arbitration centre is the Centre of Conciliation, Arbitration and Amicable Composition of the Chamber of Commerce of Medellin for Antioquia.17 It is noteworthy that the Centre of Arbitration and Conciliation of the Chamber of Commerce of Bogotá issued a list of international arbitrators from which it appoints arbitrators for international proceedings. Moreover, on 24 June 2014, it issued a new set of rules for both domestic and international arbitration proceedings. In the past year there have been several developments in arbitration that are worth mentioning, comprising rulings by the Supreme Court of Justice regarding the recognition and annulment of arbitral awards. The Supreme Court of Justice faced a request for annulment of an international arbitral award rendered by an arbitral tribunal constituted under the auspices of the Center for Conciliation, Arbitration and Amicable Composition of the Chamber of Commerce of Medellin (Colombia). The arbitral award solved disputes between the Geo Bauer Consortium and the CICE Consortium – constituted by two Mexican companies – with respect to a certain construction contract. The companies that were party to the CICE Consortium requested the annulment of the arbitral award before the Supreme Court of Justice claiming, among other grounds for annulment, that the arbitral award was beyond the scope of the submission to arbitration due to a lack of congruence between the claims and the decision of the tribunal. In that respect, the Supreme Court of Justice indicated that the ground for annulment of arbitral awards contemplated in Article 108(1)(c) of the Law 1563 of 2012, which is a verbatim adoption of Article 34(2)(iii) of the UNCITRAL Model Law, does not contemplate lack of congruence as a reason for the annulment of an arbitral award. Moreover, the Court indicated that the procedural principle of congruence is not considered as a standard of Colombia's 'international procedural public policy', and consequently cannot be argued under the public policy ground for annulment in international arbitration. Tampico Beverages Inc, a company incorporated in the United States, filed a request for the recognition of a foreign arbitral award rendered by an arbitral tribunal seated in Chile, which operated under the rules of the International Chamber of Commerce. In said award, the Colombian company Productos Naturales de la Sabana SA Alquería, was ordered to pay compensation to Tampico Beverages Inc for the unlawful merchandising of its products, under the licensing agreement they had entered into. After hearing the respondent's arguments objecting to the recognition of the award, the Supreme Court of Justice issued a ruling whereby it recognised the foreign arbitral award. The Supreme Court considered that the arbitral tribunal had not rendered a decision that was contrary to the public policy of Colombia, as it was based on the principle of party autonomy and therefore the parties were free to determine that the contract they had executed was a licensing agreement and not a commercial agency agreement. As per the respondent's contention that it was deprived of its right to a fair hearing, the Court did not allow it to proceed, as it considered that the respondent had the opportunity to recuse the arbitrator that they believed was impartial but, nevertheless, refrained from doing so. Additionally, for the Court, the fact that the arbitrator pointed out that he had nothing to reveal regarding his independence from the parties could not be construed as an oversight of the rules of the arbitral procedure. AAL Group Limited, a company incorporated in the British Virgin Islands, entered into five different contracts with the Colombian aviation company, Vertical de Aviación SAS. AAL Group initiated five arbitral proceedings under the rules of the London Court of International Arbitration, which were later consolidated by the arbitral tribunal in a single arbitration. The respondent failed to submit a defence and was absent throughout the proceedings, even after it was giving several chances by the tribunal. On 28 July 2016, the Tribunal issued a final partial award, whereby the respondent was ordered to pay AAL the balance of the total sum payable under the five contracts, as registered in the last agreement they executed, which was named as the final agreement, and for additional fees and interests. Consequently, AAL filed a request for the recognition of the foreign arbitral award, before Colombia's Supreme Court. As part of its response, Vertical de Aviación argued that the award relates to a dispute that is not provided in the arbitration agreement and that the arbitration procedure failed to adjust to the law of the country where the arbitration took place. In this particular case, the Supreme Court recognised the award. The Court considered that the grounds for refusing the recognition of the award; particularly, that the award was related to a controversy that was not included in the arbitration agreement, did not correspond to those presented by the respondent, as the latter argued the inexistence of the arbitration agreement in the final agreement, instead of the aforesaid grounds. Therefore, the defence presented by the respondent failed to fit in any of the existing legal grounds for the refusal of an award. Furthermore, the Court stated that the issue of lack of competence of the arbitral tribunal due to the latter, could have been raised during the arbitral proceedings and therefore, the absence of allegations could imply the waiver to the right to object. Finally, the Court pointed out that the legislator prioritised what is provided in the arbitral agreement regarding the composition of the tribunal and the arbitral procedure and, therefore, the application of the laws of the country in which the arbitration took place is subsidiary, as they will only be applied if parties failed to agree on the proceedings. The Supreme Court also issued a ruling whereby it recognised an arbitral award issued by the Court of Arbitration of the Chamber of Industry and Commerce of Madrid, Spain, which declared the breach of a purchase agreement by the Colombian company Carboexpo CI Ltda and ordered it to return the sum received as payment to the buyer. When the Court reviewed the request for recognition filed by the buyer, Innovation WorldWide DMCC, it found that the purchase agreement that was submitted to arbitration was arbitrable and that the award was not contrary to the public policy of Colombia, as the respondent appeared before the Court of Arbitration and submitted its defence. Colombia is a party to the following bilateral investment treaties and free trade agreements that call for the arbitration of investor–state disputes: effective bilateral investment treaties with Peru, Spain, Switzerland, the United Kingdom, China, Japan and India; and effective free trade agreements that include investment protection chapters with Chile, Canada, El Salvador, Guatemala, Honduras, Iceland, Liechtenstein, Mexico, Norway, Switzerland, the United States and the European Union. 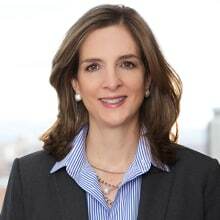 As of 2018, foreign investors have filed requests for arbitration under the rules of the International Centre for Investment Disputes and UNCITRAL, seeking relief due to Colombia's alleged violation of its investment-related obligations in the relevant international investment agreements. The requests for arbitration that have been made public were served by mining companies Glencore, EcoOro Mineras Corp, and Tobie Mining and Cosigo Resources Ltd, and the telecommunications company Claro – America Móvil, Gran Colombia and Gas Natural Fenosa. These requests involve issues related to expropriation and to the breach of fair and equitable treatment due to the legal uncertainty generated by the state's actions. In 2018, additional requests for arbitration regarding investment disputes were filed by foreign companies against the Colombian state, including the Spanish telecommunications company Telefónica, after its Colombian subsidiary lost a domestic arbitration against the Ministry of Information and Telecommunication Technologies and was ordered to pay US$1.5544 million. Another request for arbitration was filed earlier this year by Alberto, Felipe and Enrique Carrizosa, who lost a domestic claim against the Colombian state for the improper intervention of Granahorrar bank, based on the grounds that said intervention was never notified to the financial entity, and which Colombia's Constitutional Court deemed to be unnecessary, when it reviewed a constitutional claim regarding that matter Most recently, in April, the Canadian companies Galway Gold Inc and Red Eagle Exploration Limited filed requests for arbitration against Colombia before the International Centre for Investment Disputes. Almost six years after the enactment of Law 1563 of 2012, there has been a significant increase in both arbitration cases and judicial decisions implementing the rules governing domestic and international arbitration. 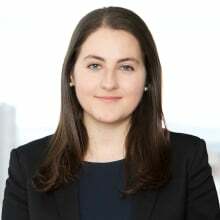 In particular, Colombia is facing a new stage in the practice and understanding of international arbitration, mostly with regard to the application of the grounds for annulment and non-recognition of foreign and international arbitral awards, to which Colombian judges are assuming an increasingly pro-arbitration attitude. Similarly, even though the possibility of bringing a constitutional action against arbitral awards has been a historical peculiarity of Colombian law, a new trend towards the reduction of its application and the protection of the integrity and independence of arbitration proceedings is taking place. 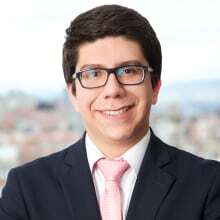 1 Ximena Zuleta is a partner, Paula Vejarano is a senior associate and Juan Camilo Fandiño, Daniel Jiménez Pastor, Álvaro Ramírez and Natalia Zuleta are associates at Dentons Cárdenas & Cárdenas Abogados. 3 Article 1 of Law 1563. 4 Article 1 of Law 1563. 5 Article 2 of Law 1563. 6 Article 62 of Law 1563. 7 Whether this includes international tribunals seated in Colombia is up for discussion, because Law 1563 specifically states that courts may not intervene in international arbitrations, except in matters that are specifically mentioned in Law 1563, which does not mention constitutional actions. However, constitutional actions take precedence over legal provisions such as Law 1563, so it is not clear how judges will react if an acción de tutela is brought against an international tribunal that is seated in Colombia. It is also hard to predict how the arbitration tribunal itself would react if it received an order from a tutela judge. 8 Constitutional Court Unification of Decisions Sentence SU-174 de 2007, 14 March 2007, Opinion of the Court delivered by Judge Manuel José Cepeda Espinosa with respect to the arbitration process in particular, the Constitutional Court has stated that, because of the nature of single instance and the restricted nature of the extraordinary recourse of annulment and revision, it is not always necessary to have previously attempted such recourses against the award, because they are not necessarily suitable for guaranteeing the fundamental rights of the parties. The Constitutional Court thus determined that the judge in each individual case must establish whether the defence mechanism available to the plaintiff is suitable to protect the fundamental right whose protection is being sought. 9 This requirement is called 'immediacy'. 10 Articles 71 and 90 of Law 1563. 11 Article 73 of Law 1563. 12 Article 76 of Law 1563. 13 Article 77 of Law 1563. 14 Article 88 of Law 1563. 15 Article 100 of Law 1563. 16 Articles 111 and 116 of Law 1563.